Hello my loves, it's Beny! I felt the need to come and to chit-chat a little. 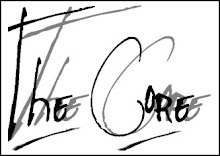 As you may know it now, last week has been all about The Core. Unfortunately, Julia had to leave a bit earlier so we had a nice drink - full of calories,for sure- at the French Coffee Shop , and brought her and her friend Carole to the train station. Afterwards, Magdalena and I did a photo shoot for the website she created with Domien. I am very looking forward to seeing the photos, i am sure my girl did a great job as usual! I barely had the time to change my clothes that we had to catch the bus to go to my house which is in Tours' country side. We also did a photo shoot during the night, a little bit scary and ''psycho'' but it was a lot of fun. The day after we had a photo shoot in the nature, the wind was so strong that i could not even walk. Prison Break, someone's trying to escape.